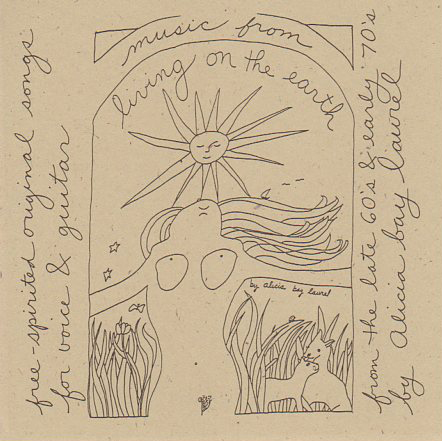 Posted on August 26, 2006 by Alicia Bay Laurel	in Music. When people think of Hawaii, they don’t often think of cowboys, but, in some parts of Hawaii, cattle ranching is still a way of life. Mind you, these are cowboys who proudly hula and make feather bands for their hats. These are the people who created slack key guitar. 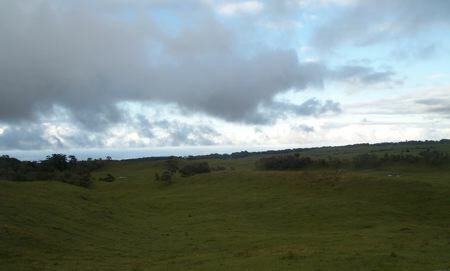 The cattle pastures of Hawaii overlook the ocean and enjoy a perpetually balmy climate. I figure this is where you reincarnate if you were a very good cow last time. 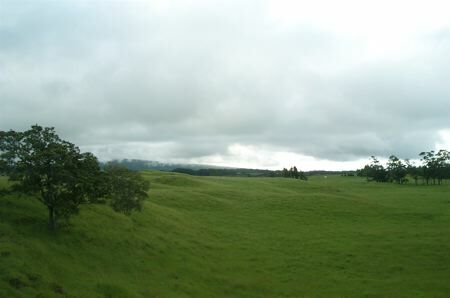 Clouds creep over the crest of Kohala Mountain toward the pastures. Hawaiian cowboys are called “paniolos,” a Hawaiian-ized word originally meaning Espanolo, or people who speak Spanish. The first cattle were given to Hawaiian chiefs by visiting tall ships, and they roamed the islands destroying everything in their path, until the Hawaiians imported people with cattle controlling skills to put an end to that. The first cowboys came from Argentina, speaking Spanish, and bringing guitars, Spanish open tunings, roping and riding, and the Brazilian tipo, a tiny four-stringed instrument the Hawaiians adopted as the ukulele (jumping flea). Braddah Smitty, whose beautiful heart resonates in his voice. 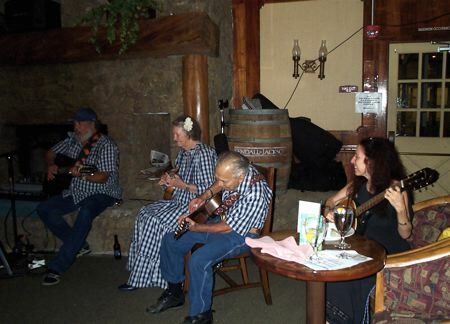 Last night I spent three happy hours in Tante’s Bar and Grill in Waimea, Hawaii, the heart of the vast Parker Ranch, listening to the great Braddah Smitty and his band. 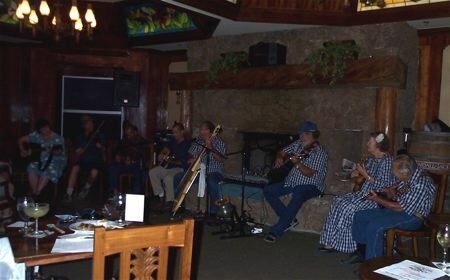 Braddah Smitty’s very Hawaiian family includes his uncle Gabby Pahinui, the father of modern slack key guitar, and Gabby’s famous guitarist sons Cyril and Bla Pahinui. 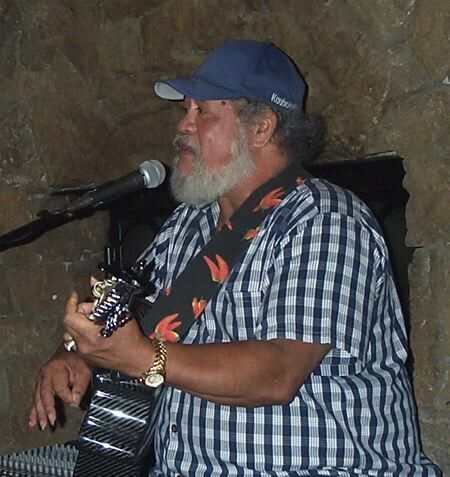 Braddah Smitty resembles his uncle, and sounds just like him when he sings Gabby’s hits Hi’ilawe and Moonlight Lady, but his talent is unique. His rich baritone soars like an opera star’s, but without the pomp. Braddah Smitty is all about having fun. The whole room has no choice but to join him. An member of the audience performs a masculine hula to Smitty’s music. Several others, including my friend Lynn, got up and danced when they heard songs to which they knew the choreography. In hula, there is only one correct choreography to each song, so that dancers from disparate locations should all be able to move in unison. He is also all about heart. He graciously invites in whoever wants to play along. Among those sitting in on this occasion was the ancient and legendary Uncle Martin Purdy, son of the famous cowboy Ikua Purdy, depicted in an enormous bronze riding horseback and roping a cow, that stands in the parking lot outside Tante’s Bar and Grill. His wife, Auntie Doris Purdy, played ukulele and performed a stately hula from her chair. Her daughter played guitar, and a couple of young local guys sat in on guitar and ukulele and sang. The whole line-up of Smitty’s band and friends picking and singing at Tante’s by the great stone fireplace. I’d kanikapila’d (jammed) with Braddah Smitty a few years ago at the birthday party of Edie Bikle, best-selling children’s book author and the owner of Taro Patch, a scrumptuous gift store in nearby Honoka’a, and he remembered that I played slack key, so he invited me to play some songs during the break between the sets. I perform some slack key tunes for the folks at Tante’s. Edie and her boyfriend Tony, both present and clearly having a wonderful time, egged me on, and so did Lynn Nakkim, novelist, comedienne, former Green Party candidate, Waimea resident with her own horse ranch and my friend for over thirty years, whose idea it was to come to Tante’s in the first place. 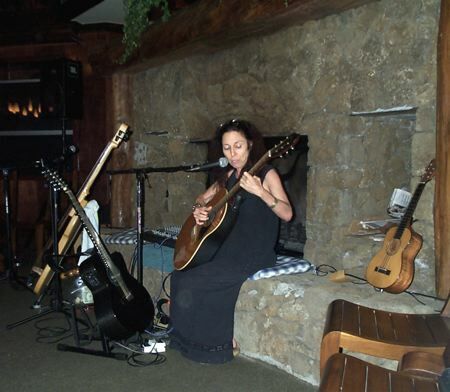 So, I played two slack key pieces over one hundred years old, and sang and played two original slack key songs, Auntie Clara and Living in Hawaii Style, all of which I recorded in 2001 on a CD of the same name. Edie carries it in her store. Afterward, I joined the line-up of friends playing along with the band. At the end of the show, the audience rose as one and joined hands in a circle, something I’ve never seen happen in a bar. We all sang Hawaii Aloha, the unofficial national anthem, swaying and harmonizing together. 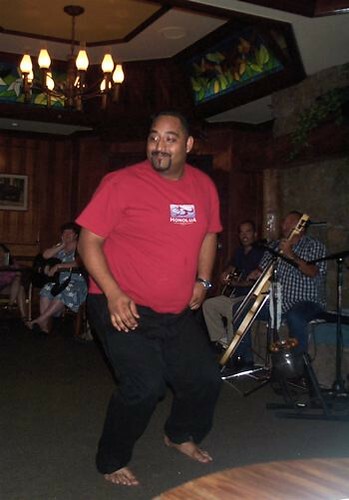 Then that trickster Braddah Smitty sang the Hokey Pokey, and we all got really silly dancing that. After that, people were hugging and kissing each other Good Night and Aloha, and heading out into the mist.